BRFC Youth Section have mapped out a vision and strategy for our future, and to bring together the whole club with a sustainable model of excellence and a culture that supports the delivery of rugby through the wider Community Sports Hub we are all part of. After considerable research and hard work the new Boroughmuir Rugby Community Sports Club (BRCSC) Academy is now ready to launch for the new season. The Boroughmuir Academy will be holding two Parent Presentation and Q&A sessions in the clubhouse following on from the info all our Youth Members were sent. Please come along to hear all about the new Academy and ask any questions you may have. 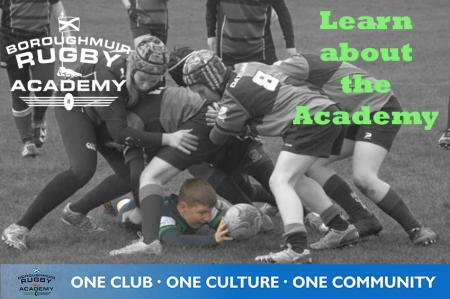 Boroughmuir Rugby has strived to ensure that every player from P1 to U18 will benefit from being part of the new Academy and it can only be described as an exciting time in the history of our great club.